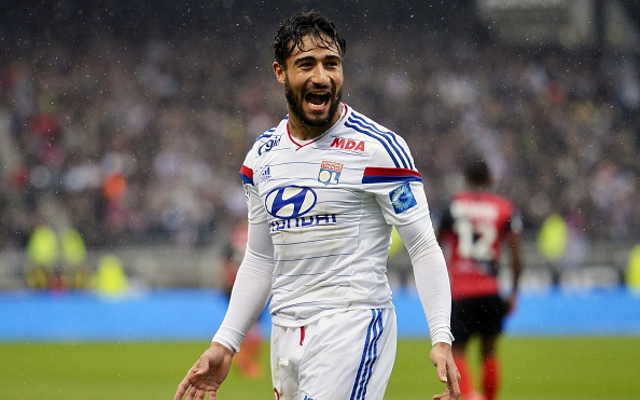 Inter Milan are planning an offer of €20million for Arsenal and Manchester City target Nabil Fekir. The Olympique Lyonnais forward has enjoyed a magical year in Ligue 1 and was rewarded with a maiden France call-up earlier in the year. The Franco-Algerian attacker made his debut against Brazil during the last international break and has seen his stock rise. He has played his part in OL’s record-breaking forward line and has contributed 12 goals and nine assists in the league as Les Gones have run Paris Saint-Germain close for the French title. Their championship rivals are just one side who are looking to take the forward away from the Stade de Gerland this summer. As well as PSG, Arsenal and City are also believed to be keeping tabs on the 21-year-old forward. However, according to TuttoSport, Inter Milan are looking to steal a march on their rivals, and fearing that they are set to miss out on Paulo Dybala, are keen to get in an early offer for the forward. It is believed that a fee of €20million would be enough to tempt Jean-Michel Aulas to part with one of his most valuable assets.